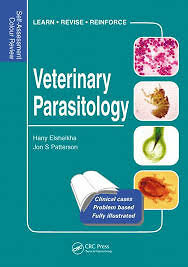 This clinically oriented new volume in the Self-Assessment Colour Review series brings together a wide variety of cases and clinical situations which relate to diseases caused by parasitic agents primarily in small animals and domestic livestock. It also includes some cases involving some wild and exotic animals. The cases are presented randomly, and illustrated in full colour. Each case scenario includes key questions regarding diagnosis, treatment and control of the infection. Detailed explanatory answers are given on the following page. The book offers an excellent resource for continuing professional development. It is of value to veterinary practitioners, animal health advisors, industry technical representatives, livestock producers and veterinary students.